As the current Director of the University of Utah’s Creative Writing Dept., Paisley Rekdal runs the Guest Writers Series (GWS), which is co-sponsored by the Salt Lake City Arts Council. Now in its 20th season, the series brings in a handful of writers from outside of Utah, typically one or two per month throughout the academic year. The guests—diverse, up-and-coming authors chosen by faculty and graduate students—read from their work for a public audience at the Art Barn, which is located just a few steps south of the University of Utah campus at 54 Finch Lane in Reservoir Park. Rekdal, a poet, author and Professor of English at the University of Utah, vividly remembers the first time she experienced another author reading their work. “It was a poet named Tess Gallagher,” Rekdal says. “She was a beautiful reader of her own work. It was mesmerizing. … Poets were actually alive and out there.” Attending readings introduced Rekdal to living authors of the contemporary literary world, a change of pace from bookstores and classrooms colonized by an outdated set of popular or classic writers.Whittling down from a list of potential candidates, the chosen writers are either emerging or non-household-name authors. “We like to specialize in poets and fiction writers that are just starting to be noticed and get a wider appreciation and a wider audience,” Rekdal says. “We want to make sure that we’re bringing in writers who are changing the literary scene right now.” A glance at the lineups of past readers reveals a variety of now-bright stars in the contemporary literary skyline: Samuel Delany, Carole Maso, Ben Marcus, Shelley Jackson, Susan Howe, Wayne Koestenbaum and fiction-innovating titan Robert Coover, who gave a stellar and humorous reading earlier this year. Writers who work to chip away at these prefab molds, whether it be in their written work, their reading or their social-media presence, are part of the vanguard of ontological exploration of what reading, writing and even just existing in the world can be like today. “Literature is an ever-evolving thing,” Rekdal says. “It’s constantly changing. There are more and more voices out there.” Rekdal also edits online collaborative journal Mapping Salt Lake City, which generates a city-like growth of narrative out of user-submitted content from diverse Utah voices. For its 20th season, Rekdal has devised a way to bring the GWS outside of the comfy confines of the University campus and into local Utah communities. 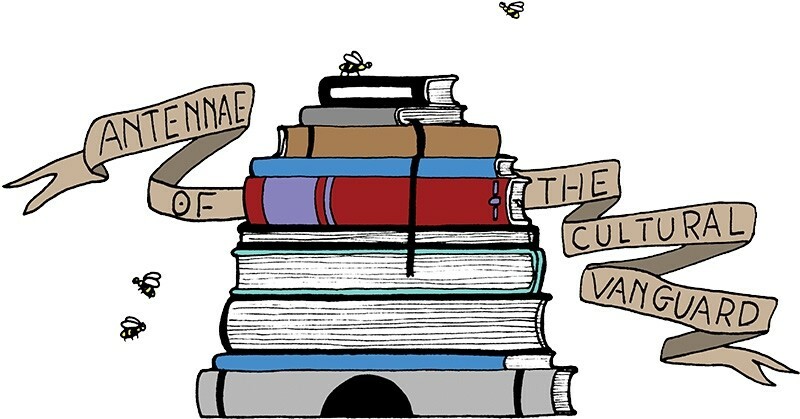 Hive Mind, as it’s called, is a citywide book club that highlights the work of the writers in the series and others brought here via Westminster and the Utah Humanities Book Festival. The book club was conceived as a way to engage with local writers and readers in communities that wouldn’t typically interact with the campus crowd. “This way, we can bring some of the campus experience out into the community in different places,” Rekdal says. Readings can have enormous impacts on a community, she explains. Hive Mind will bring guest writers, professors, creative writing students, critical readers and, hopefully, civic-minded activists and artists, to talk about books and writing. There will be a list of chosen books for each of the authors involved, which will kick off discussion at the events. “[Guest writers] are going to talk about the books like writers talk about books, which is: what makes it work, what doesn’t make it work,” Rekdal says. One goal for the club is to initiate readers into conversations of literary ecology “to get them thinking about how books come into the world,” Rekdal says. She also encourages the nonacademic variety to nominate their own writers to bring to town, through participation in Hive Mind. One of the scheduled Hive Mind events will bring Horacio Castellanos Moya, a Salvadorian writer and journalist, to Mestizo Gallery on Tuesday, Nov. 11. He’ll be joined by University of Utah professor and innovative fiction writer Michael Mejia. Another will be a Langston Hughes Celebration in February, where his jazz-inspired poem, Ask Your Mama, will be set to music by Kingsbury Hall and read by actor Malcolm-Jamal Warner. Maggie Nelson’s Bluets is the first book up for discussion, which will take place Sept. 25 at Arts Alliance (663 W 100 S). You can find this season’s Guest Writers Series lineup at english.utah.edu/creative-writing/guestwriterseries.php. First up—poet Frank Bidart, who’ll read at the Art Barn on Sept. 18.